What a fabulous book this is, I enjoyed every page and I’m so hoping that it will be the first in a duology or even trilogy? Fingers crossed! Ever since Cass almost drowned (okay, she did drown, but she doesn’t like to think about it), she can pull back the Veil that separates the living from the dead . . . and enter the world of spirits. Her best friend is even a ghost. So things are already pretty strange. But they’re about to get much stranger. When Cass’s parents start hosting a TV show about the world’s most haunted places, the family heads off to Edinburgh, Scotland. Here, graveyards, castles, and secret passageways teem with restless phantoms. And when Cass meets a girl who shares her “gift,” she realizes how much she still has to learn about the Veil — and herself. And she’ll have to learn fast. The city of ghosts is more dangerous than she ever imagined. 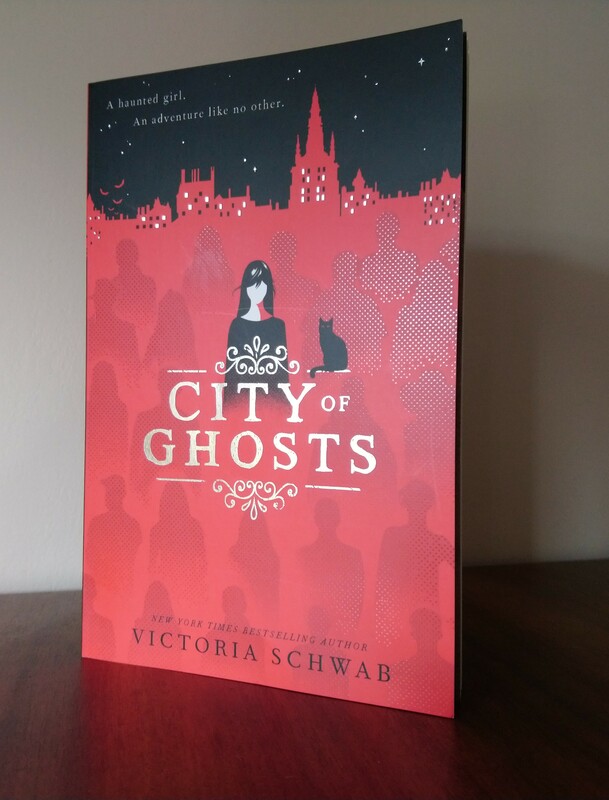 NYT bestselling author Victoria Schwab delivers a thrillingly spooky and action-packed tale of hauntings, history, mystery, and the bond between friends (even if that friend is a ghost . . .). The character of Cass is a lovely creation. She is funny, brave, tough but vulnerable and needy at the same time. I love that Victoria Schwab set the story in Edinburgh, its a place i’ve long wanted to visit and i loved the whole ‘fish out of water’, culture shock of the family as they learn about our British way of life. The story is so funny in many places but never turns into a farce and then suddenly she writes some really moving dialogue and I was nearly in tears. I cant recommend this book highly enough. Is there a book similar to this or another book by V.E. Schwab maybe that I should try next?